Now and again its great to be nostalgic. Today I found a piece of my childhood. I was reading about a rare find on E-Bay. 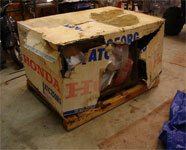 It’s a one of a kind 1986 Honda ATC 250R still in its original packing crate. In 1983 my family inherited some money. My parents made a deal that if I milked our cow for a year they would get me a dirt bike or ATV. I spent the next 18 months going to motorcycle dealers all over Sacramento looking at and gathering brochures and posters. One of the biggest posters I had was of a Honda ATC 250R. 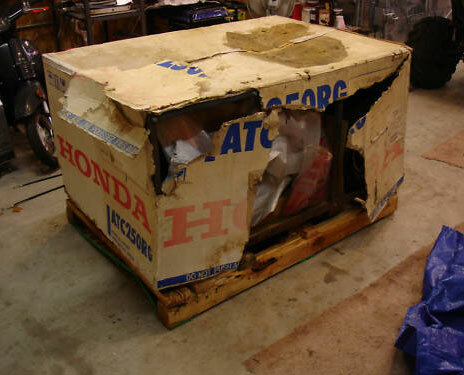 This crated ATC’s cardboard cover has been removed at times, allowing for display, reinstalled, and then stored back in a dry dark environment. The cover has gotten brittle over the years and has been removed less than 10 times for inspection and viewing. 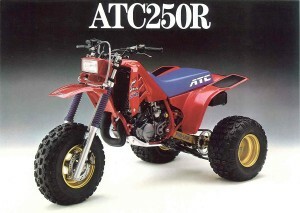 This 250R is a real complete time capsule. It is in amazing condition and is exactly as it arrived at the dealership’s dock back in 1986. It is a #’s matching, 100% year correct original. This particular machine was produced near the last build run, at Honda of Japan. 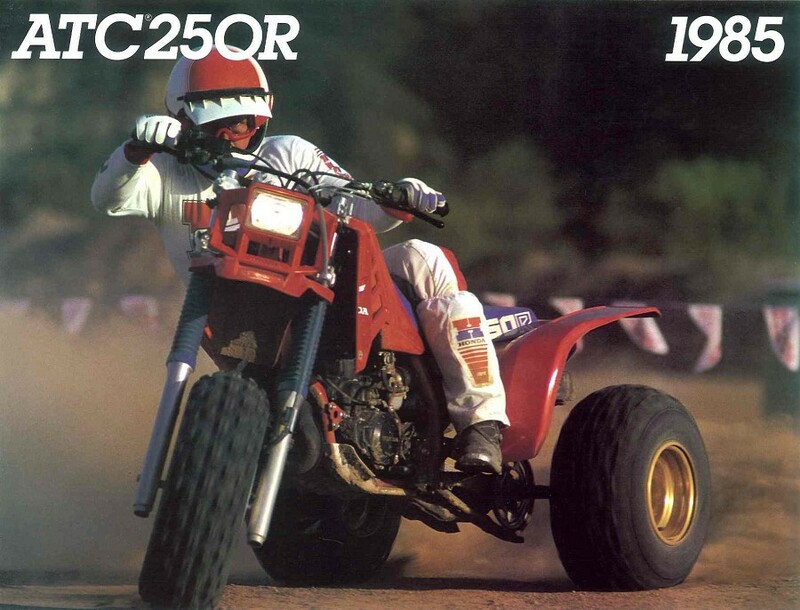 The poster on the left and the brochure on the right of the 1985 Honda 250 both hung on my bedroom wall for 4 years. 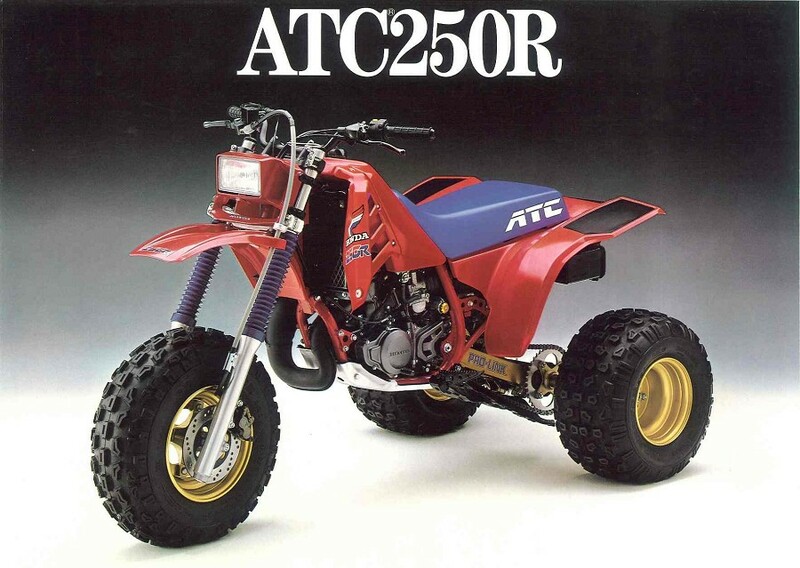 This unassembled ATC sold for over $44,000 on E-Bay. This bike retailed new in 1986 for $2,348. Not a bad profit on a 24 year old investment. This was a poster that hung in my room when I was a kid.